Each day, we’ll also provide tips by organizational experts and show off some really cool organizational tools that may help you. Labels can be an effective way of keeping you organized. It’s much easier to put things away when you actually know where they go. Jen, at IheartOrganizing.blogspot.com, is also offering a whole selection of free printables. This will make organizing a snap! In her photo above, she used printed labels that were laminated. 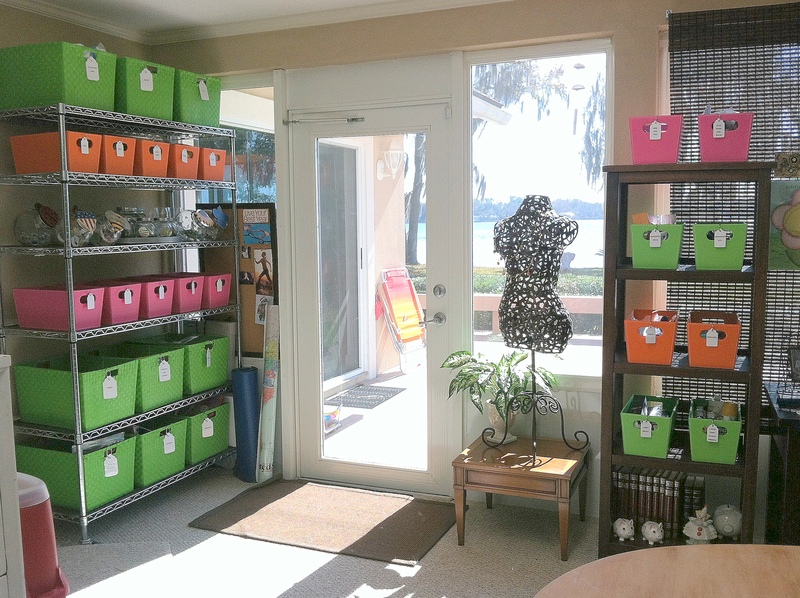 If you want to know about Jen’s favorite storage containers, be sure to visit her blog. After having my craft room organized I found that labels were the secret to not only getting more out of storage that I already had, but knowing exactly where to put new toys products. I used a simple tag, created using my Sizzix big shot, but you could use a store bought one. Binding rings hold the tags on the buckets. A label maker will also make this task, quick, fun and easy. There are a lot of brands out there but look for one that will allow you to vary the size of font. This will allow you to more easily fit longer titles on your labels. 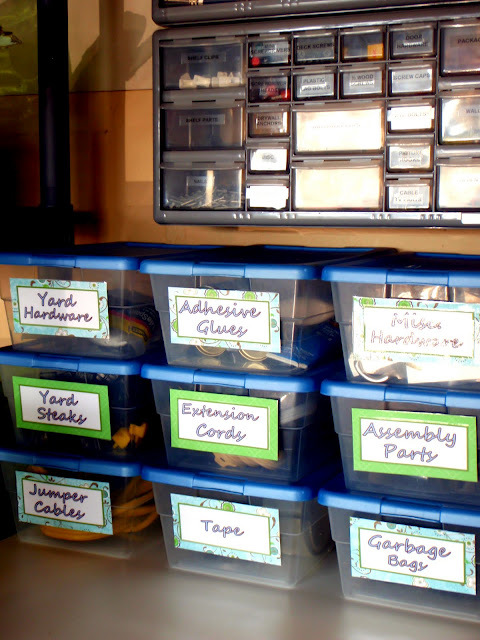 Ready to organize your life? Let us know how you are doing… what you’ve been working on and feel free to share photos with us on your projects! We would love to see them. « Throw pillows: Your most important home staging accessory. Love this …. what great ideas !!! !